By guest authors, Rebekah May Yeagley and Josh T. Smith. Recently, the Salt Lake City Council approved rules allowing more Accessory Dwelling Units (ADUs), often simply called mother-in-law apartments. The change comes after nearly a decade of slogging through compromises and slow deliberation. Although the changes are certain to be positives for Salt Lake City, the slow pace of adaptation is a warning to the entire state. Housing prices are rising quickly in Utah. Housing supply is not keeping up with demand, and it’s creating a threat to Utah’s continued economic growth. Luckily, there are solutions in other states that Utah can use as well. The rise in Utah’s housing prices is dramatic and especially pronounced in the Salt Lake area. Research from groups inside and outside of Utah shows much of the supply of good, affordable housing is dwindling. 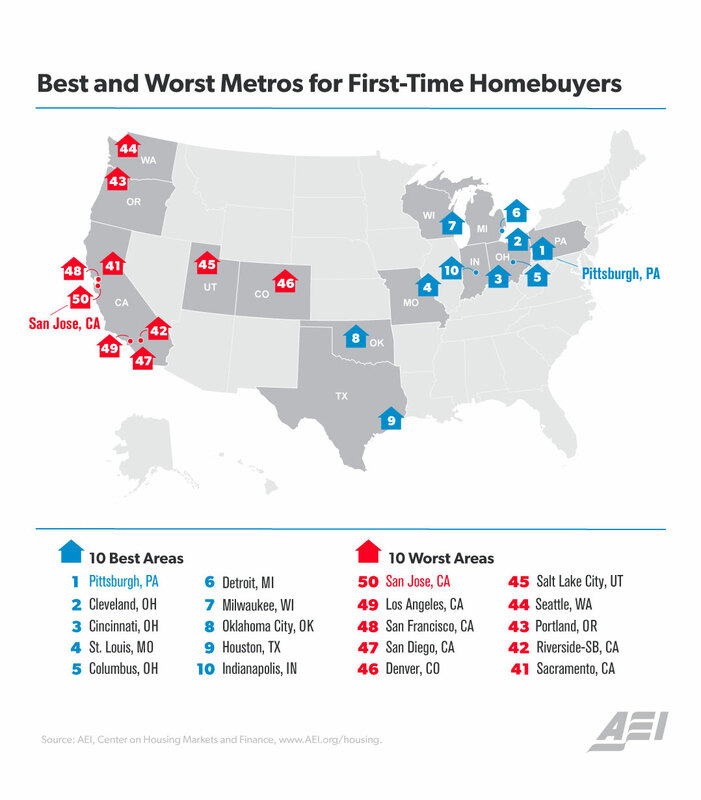 Most recently, the American Enterprise Institute, a think-tank specializing in housing issues, ranked the Salt Lake City metropolitan area as the sixth worst housing market in the United States. Unfortunately, they’re far from alone. The Institute’s ranking follows a similarly gloomy ranking by CityLab, a magazine devoted to issues like housing affordability. That analysis showed that it takes four and a half years of the local median income to purchase a home. That’s almost twice the threshold that housing experts use to determine housing affordability. The Utah Foundation confirmed the dimming outlook for housing affordability in a recent survey. They report that, in 2011, only four percent of Utahns said there was not enough affordable, quality housing available. In 2018, that number more than doubled to nine percent, while the percentage of respondents who rated the availability of good, affordable housing as excellent fell from 17% to only 10%. As housing prices rise, so does the cost of living. That makes it more difficult for businesses to attract employees into the areas they operate in. That’s why moves like the Salt Lake City Council’s to allow ADUs are important. Making it easier to build more housing can bring prices down and keep businesses interested in investing in Utah. ADUs are one way that cities can start to provide more housing options to their citizens, but they’re not the only path. Minneapolis, for example, voted December 7 to allow three-family homes in residential neighborhoods. Much like ADUs provide an opportunity to rent out extra space, moving away from single-family requirements can provide more freedom to homeowners to rent out extra rooms and allow developers to build different types of homes. Removing single-family zoning would strike at the root of the housing affordability problem in Utah: zoning itself. Researchers at the University of Utah recently pointed to zoning ordinances as among the chief causes of affordability issues, along with increased fees related to developing lots for construction. For example, the costs of developing lots increased by 40 percent in the last decade, from $37,000 in 2007 to $52,000 in 2017. Just as the changes to allow ADUs took almost ten years, changes to single-family zoning are likely to be slow battles. But that just makes them all the more important to start dealing with right now. There are too many warning signs and too much at stake for policymakers to wait. Utah’s future economic vitality and those struggling to find housing depend on changes that would make Utah’s housing market more flexible and more affordable. Rebekah Yeagley is an economics student at Utah State University and works as a CGO Undergraduate Research Fellow for the Center for Growth and Opportunity at Utah State University. Josh T. Smith is a research manager at the Center for Growth and Opportunity.